We’ve all seen Matilda, that childhood classic. The story of a bright and rebellious little girl, with special powers. Matilda’s parents, Mr and Mrs Wormwood, have no time for her and treat her as a nuisance. She spends most of her time reading books from the library astonishingly quickly, whilst they watch TV. Life for Matilda is no better at school despite the care and support of her teacher, Miss Honey. Matilda decides the grown-ups should be taught a lesson and in the process discovers her supernatural powers! Roald Dahl’s Matilda is performed at the Sam S Shubert Theater on Broadway! Such a beautiful theater only a stones throw away from Times Square. 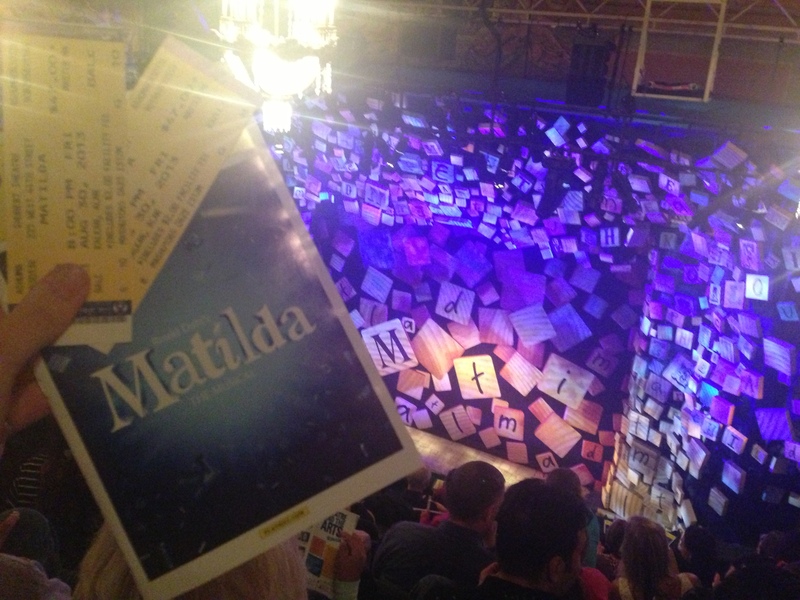 I was so excited to see Matilda on Broadway as I’d heard great reviews of the show! We headed off to TKTS ticket booth to pick up our last minute tickets for the show and, of course, the only tickets available were in the upper tier. FEAR NOT FRIENDS, this matters not! The theater itself is small in comparison to so many others so although we were ‘high’ up, this was nothing compared to the seat’s we’ve had in the past. The cast for Matilda is made up predominantly of young actors and actresses, each as brilliant as the next. The energy each individual cast member oozes brings the show to life, the audience leave feeling inspired and empowered. 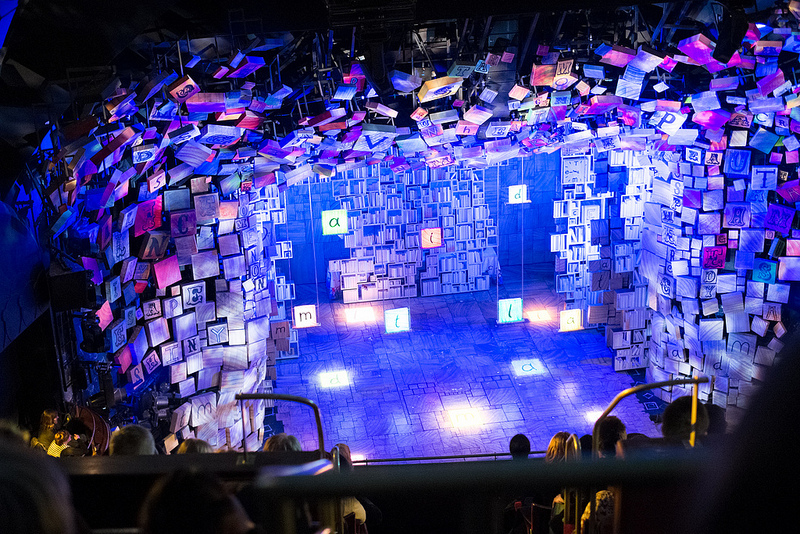 Matilda is packed full of cleverly written lyrics and catchy song that I guarantee you’ll be singing for days! From the instant I took my seat I knew I was in for a treat! The stage was framed by an over spilling of scrambled, oversized scrabble letters, the perfect representation for Matilda, the child inspired by books! Matilda has recently won 4 Tony Awards, bringing the show’s total up to 47 international awards! I can honestly say I found show to be inspirational, it really is evident why Matilda has been so highly acclaimed. Not only can you catch the show in New York, it’s also hit the Westend of London. 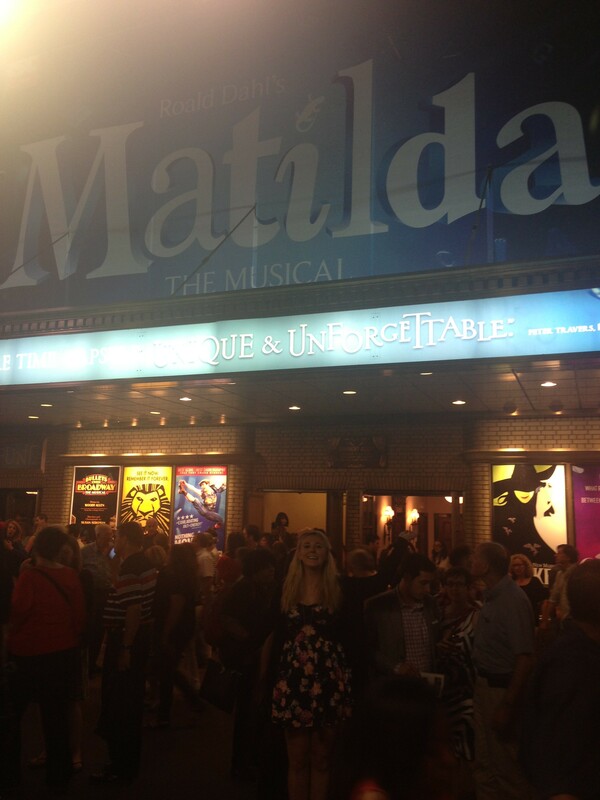 I watched Matilda in London and it was brilliant. Matilda was one of my favourite films as a child.